It is critical now more than ever to account for longevity in retirement planning since people are now living longer than ever. Several factors contribute to steadily increasing life expectancy figures in most parts of the world. People are living longer than their ancestors due to advanced technology and healthier lifestyles. 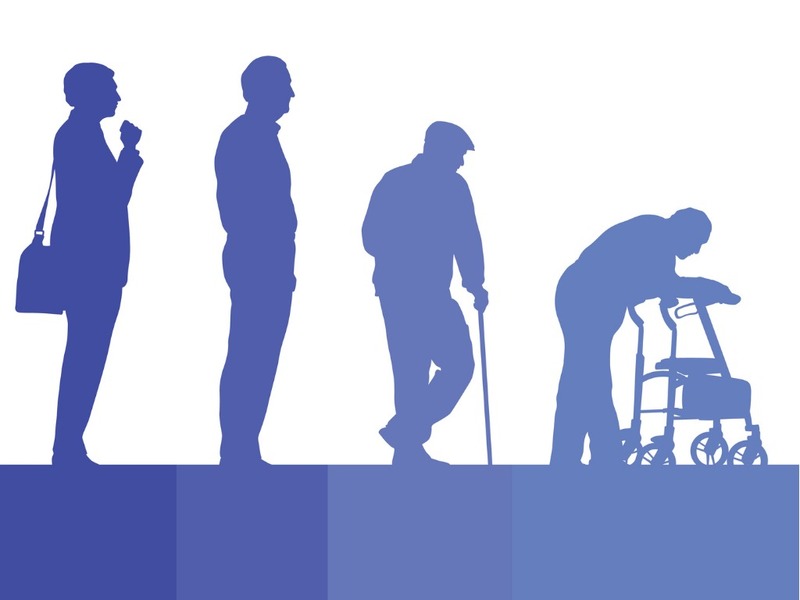 The U.S. average life expectancy is 79 years. How does that relate to retirement? It means you must plan for funds to last for a longer period to afford necessities like food, medicine and long-term care. That means knowing how much money to invest, when to retire and the best way to withdraw funds. Here's all you need to know about how and why to account for your longevity when planning and saving for retirement. Longevity risk is the opposite of mortality risk. Mortality risk is the risk you will die sooner than expected, depriving your spouse, family and other dependents of income. Longevity risk is the risk you will outlive your expected lifespan, and in turn, outlive your assets or live on a tight budget or return to work. Let’s unpack how you can plan to help mitigate this risk and create a more secure future. Thinking about when you want to retire and what you want to do makes it seem like a dreamy experience. You may have plans to travel and shop, but the time will come when you will have higher nondiscretionary expenses. You need to take a serious look at what you have and what you need to live comfortably during your retirement years. That is only possible when you account for how long you will live when planning and saving to fund your retirement. While 79 years is the current average life expectancy in the U.S., people are living well into their 90s or even to 100. That means if you choose to retire at the traditional age of 65, you could need income for up to 35 years. Retirement this long is rare but possible. According to data collected by Forbes, the older you retire, the less likely you are to spend more than 10, 20 or 30 years in retirement. The older you retire, the less income you will need. You are less likely to spend as much as you would have by retiring a decade or more earlier. If you are unsure of when you want to retire, plan for funding for at least 20 years or longer – it is better to be on the conservative side and your future self will thank you. Get a snapshot of what you have, and then take action steps to get to your retirement goal. Review what you have in savings and if you expect Social Security to fund a portion of your retirement. Think about what age you want to retire and if that will be full or part-time. According to the Social Security Administration, the retirement age for full benefits varies depending on when you were born. For example, full benefits accrue at age 66 for those born before 1954. You can take a reduced benefit beginning at age 62. Determine the cost of your necessities and the average amount of inflation. Calculate how much money you will need monthly to maintain your standard of living during retirement. At a minimum, think about daily food, clothing and shelter needs, medical expenses for appointments and prescriptions, and transportation. Inflation rates have averaged around 3 percent for years so that means you can expect a rate between 2 and 4 percent. Once you know how much money you will need each year and how much you will earn on investments, you can figure out how much you will need to set aside now. Use those number to save more money when you have the opportunity. If possible, devote funds from a part-time job or side gig to contributing more for retirement. You may also need to adjust your selection of investments within your retirement fund now and during retirement. The need for life insurance decreases as you grow older. An extended life span, however, may require keeping your policy active for a few more years than in the past. That coverage can help with estate taxes and final expenses so more of your money can go toward retirement needs. Long-term care insurance also protects your funds by providing payment for costly care if you can no longer complete daily functions on your own. Another option you might want to consider is a deferred life annuity, also referred to as longevity insurance. By deferring payment until around 85, it protects against the risk of outliving your retirement income. If this is an option that peaks your interest, it is important to thoroughly evaluate it to make sure it is right for you. The last critical step is to be strategic about how you withdraw money from retirement accounts. Talk to your accountant and financial planner about taxes and your options for withdrawals to ensure you are withdrawing in a tax efficient manner. If you don’t withdraw strategically, it can take a bite out of your retirement savings, leaving you with less than you could have had. Options such as annuities or delaying Social Security benefits could help preserve funds and minimize taxes. It is obvious that no retirement plan means no retirement funds. What is less obvious is that not considering how long you will live could yield the same fate. A plan incorporating longevity could prevent under saving now and overspending during the honeymoon phase of your retirement. Such a plan also helps you choose the right investment and withdrawal strategies. That way you can continue growing and preserving funds during retirement. If not, you could end up working longer, even if it is part-time or even worse, draining your retirement savings too early. Statistics suggest you have a lot of years ahead of you. Don't fantasize retirement and only think about the beginning phase. For most, greater expenses come toward the end of retirement vs. the early years so make sure to plan accordingly. Use your resources to determine how much money you need to sustain the lifestyle you want and make sure you do your homework to go beyond just an educated guess. Here is the good news for those using GuidedChoice to help you save for your retirement. When we give you advice on how much you will need to save and how should be invested, we are already taking into account and planning for how long you will live. We make our retirement projections using the expected lifespan from a current broad U.S. population mortality table, plus 10 years. By doing this, we are able to build in an extra safeguard that will help you plan for a longer lifetime and help you build wealth you need to fund your retirement, even if you live longer than you expected. Our service does the hard work for you and takes the stress out of retirement planning. If you are not using GuidedChoice to plan for your retirement, take action toward a comfortable retirement and try our retirement planning service today.